ClickSoftware, a leader in automated mobile workforce management and service optimization solutions, recently released the below infographic “The Power of Mobile Workforce Management.” The infographic stresses the importance and benefits of workforce mobility, including immediate data input, faster responses, and connecting mobile workers to each other, office colleagues, subcontractors and, of course, customers. According to the infographic, employees want the ability to choose their mobile device, and 61% of companies that let them have higher employee satisfaction. Smartphones are shown to increase productivity, as they allow employees to regularly check emails outside of normal business hours and stay ahead of their workload for the next business day. Tablets are also popular with mobile workers who are looking to strike a balance between the usability of a laptop and the portability of a smartphone. 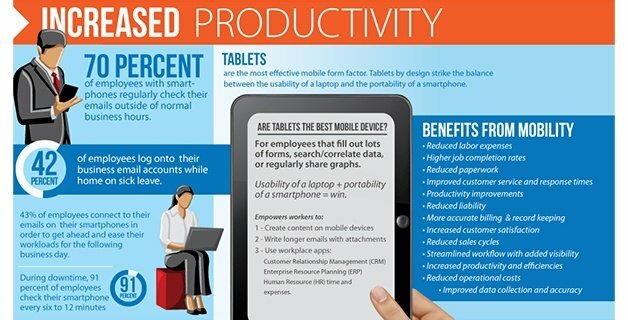 Tablets are ideal for employees that fill out a number of forms, search and correlate data, or regularly share graphs. They also empower these workers to create content on their mobile devices, write longer emails with attachments, and utilize workplace apps like Customer Relationship Management (CRM), Enterprise Resource Planning (ERP), and Human Resources time and expenses. 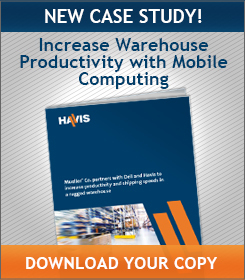 The conversion to paperless mobile workflows reduces administrative expenses, increases data accuracy, and minimizes cycle time. This is especially true in the public sector and utilities industries. 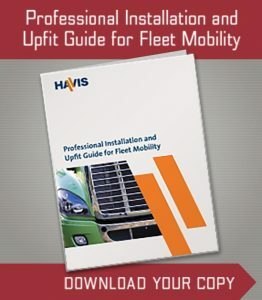 Managers, sales reps, customer service agents, field service technicians, retail associates, warehouse managers, and many others will enjoy enhanced productivity fueled by mobile applications. How broad is the provider\’s portfolio? Are the mobile apps easily configurable? Are the apps entirely device agnostic? 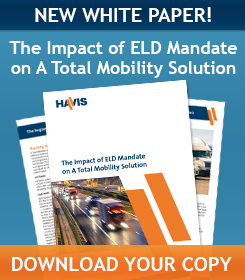 How fully and easily can your apps be integrated with back-end systems? Can you add features and functionality without expensive upgrades?